Play our video to learn more about our Services. As Part of Roofing Compaines, Residential Re-Roofing is our main focus. We only work on Residential Roofs. All of our crews have been with us for a few years now. Each crew team member knows our high-quality standards of building to current code with GAF quality materials. We are a certified GAF Roofing Contractor near you. So you know we have been checked out by GAF to know our product and how to install them. We want to be your Roofing Contractor. Roof repairs always happen at the wrong time in life. 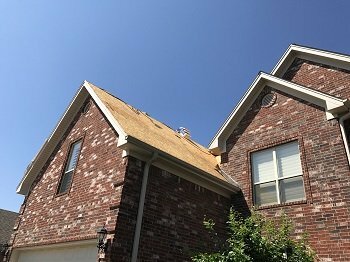 We all live on a budget and unexpected roof repairs can hurt that budge. So we do our best to keep the cost under control and do the job correctly. Let us look at your roof concern/leak, we will find the cause and give you a fair and honest price. We work with lots of Homeowners with Roof Insurance Claims. We know how they operate and what is a good estimate and what items are missing if any. We supplement as needed to the Insurance Company to make sure your roof is built to current code. In the end, your roof will be made whole with our high standard of workmanship and quality materials. We work with Roof Insurance Claims with Wind Damage, Insurance Claims for roof leaks, Hail damage to roof insurance claims and can cover Roof Insurance claim process and what to do if your Roof Insurance Claims Denied. 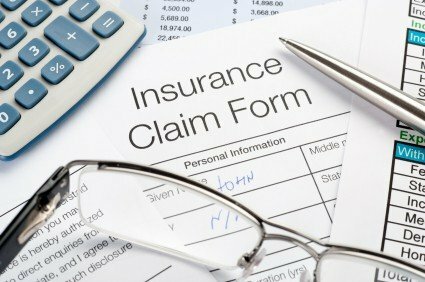 We have experience with all of these issues when dealing with Insurance Claims for Roofs. 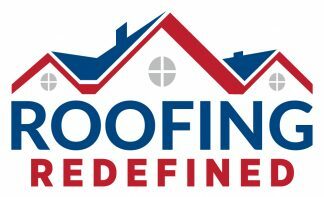 Welcome to Roofing Redefined, your premier residential roofing company where we always apply the highest quality standards to every aspect of our work to consistently exceed our customers’ expectations. Our dedication to customer satisfaction has been the pillar to our success in the roofing business. As a certified GAF Roofing Contractor, our rigorously trained and professional team has perfected the art of roofing and roofing repair to ensure that any problems in your roof are addressed immediately. With over 23 years’ experience in roofing, we are committed to applying our superb expertise on every project that we undertake and to only use GAF approved quality roofing materials. of your roof and advice on the best solution depending on the scale of damage and recommend for either a roof repair or replacement. 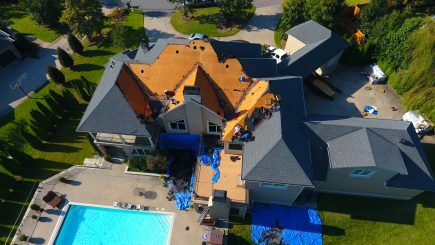 Our inspection process involves the use of a drone that inspects the entire roof to ensure that all areas are thoroughly examined and a thermal imaging camera that captures the leaks that are not easily visible and locate the exact point of damage. We have established great relationships with insurance providers and for homeowners with insurance claims, we will work hand in hand with your insurance company to get your roof repaired or replaced. In case you are self-financing for the roof, we are fairly priced and always build your roof to the current code with quality materials. We are highly recommended by insurance agencies, consumer agencies and many satisfied customers who consider us to be one of the best Roofing Companies and most reliable roofing company. Contact us today to restore your roof! We are proud of our workmanship and wanted to show off our work for you to review. We know roofing and we are happy doing what we do. Our clients enjoy the end results of knowing it’s done right the first time. We were called to look at a roof with serval active interior leaks. After looking at the shingle we suspected Asbestos. We contacted a removal company to test. We worked together to safely remove the asbestos shingles and install a new Architectural GAF Timberline HD roof. We see a lot of differnt roof repair issues. Most of them are fixing a sloppy attemp from someone else who did not do it correct the first time. When we fix a roof leak or a needed repair we make sure it done correctly the first time or we don’t touch it. It’s that simple. Do it correctly the first time and be done with it. Re-roofing any size house is important. We have the skill set and knowledge to do any size job and do it correctly. 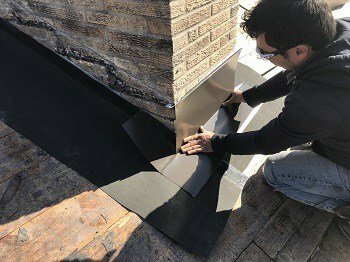 Not only do you have to know a lot about proper flashing, underlayment , different types of shingles, but do it in an affordable way to meet the needs of both large and small roofs. 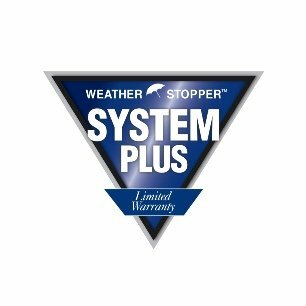 We have installed both and can more then meet your need on your roof. We had roof damage from a storm that included leaking in a limited area. They came out with a drone and IR cameras to detect other roof damage, identified the areas of concern, worked with us every step of the way with the insurance adjuster and got the entirety of the damage covered and repaired. Very professional and polite, and very quick to respond to questions and concerns. Work was done quickly and we are very pleased with the result. Bob Porto, Roofing Redefined, was very professional and thoughtful in solving my roofing problems. There were 2 additions to the original house so particular care was needed for covering all issues of old shingle removal, flat roof connected to pitched roof, gutters that were not sufficient for drainage, etc. Bob was able to do everything needed in the allotted time and kept me informed during the process. His crew also cleaned the area around the house. There were no nails or shingle material left on the property. I highly recommend Bob Porto and his excellent roofing product. Roofing Redefined exceeded my expectations every step of the way. Bob and his crew responded quickly to my call for help with leaks in my roof; he assessed the problem with his thermal camera and drone and had the leaks repaired less than one week from the initial assessment. I appreciated that he communicated the plan upfront. I also appreciated that he was upfront about the prioritization of my repairs compared to other active leaks his crew was working on. He notified me of any changes to the plan and kept me updated on repair progress as it unfolded. Bottom line: he did what he said he would do when he said he would do it; it cost as much as he said it would; his communication was excellent and his customer service was exemplary. On top of it all, Bob is a wealth of knowledge when it comes to all things home repair—so even if he discovers a non-roofing problem (like a cracked support beam in my attic), he knows someone to recommend to solve the problem. Don’t be short changed by the Insurance Companies. Choosing our top of the line service crews are your best option for recovering after the storm. We provide faster insurance claim processing resolution. We provide faster service because we are a local roofing company. We have emergency services to help prevent further damage.